A loving family is a safe environment for a soldier. 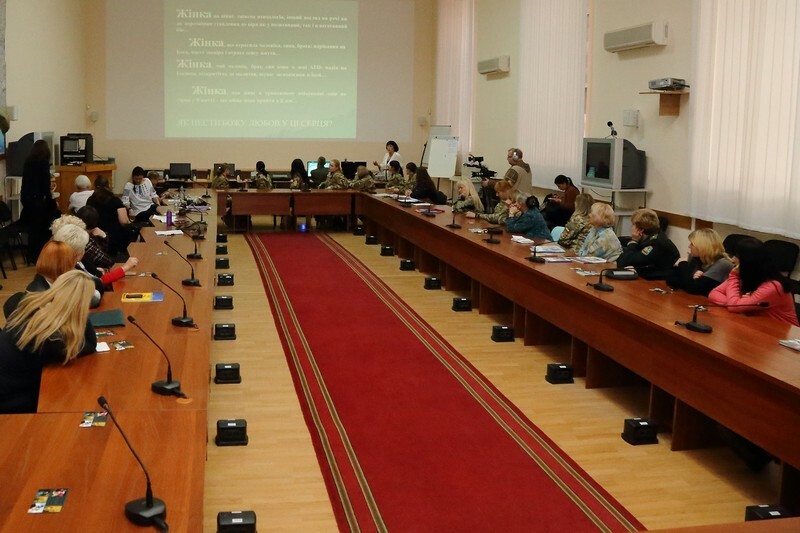 A round table was held at the Ivan Chernyakhovsky National University Defense of Ukraine on a theme that is relevant today for Ukrainian families and the society as a whole: “Promoting a Positive Moral and Psychological Climate in the Family of a Serviceman: Ukrainian and Foreign Experience.” The event was held on the initiative of the “Olive Branch International”, which provides educational, medical and humanitarian assistance to the militaries and members of their families. – You are doing a worthy, good deed. The question of the rehabilitation of the military in the family today is relevant. People need your help, “said Colonel Nikolay Risova, head of the department for work with the staff of the university. 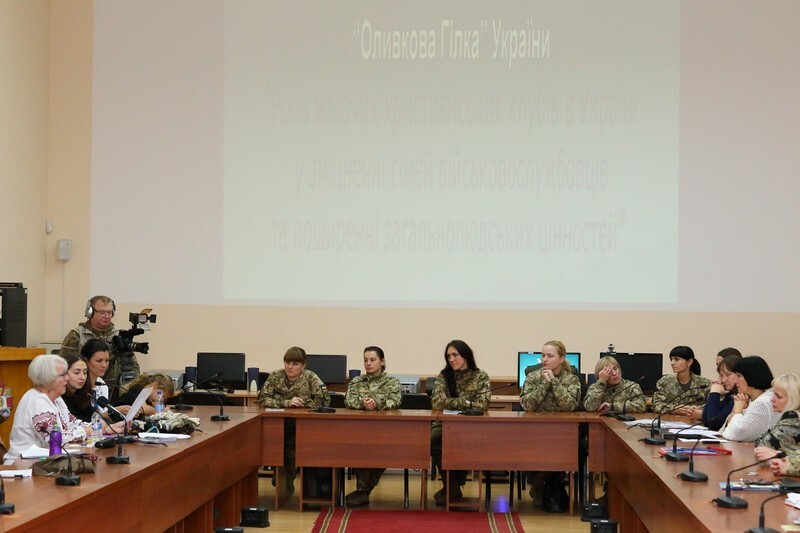 At the university, this is already a tradition: every year the scientific and pedagogical and scientific workers of the university, female servicemen, employees of the Armed Forces of Ukraine and distinguished guests from America gather in a good atmosphere and share their experience. This time the meeting was held for the second time in a year. The number of participants has increased. “The ocean divides us.” We have similar problems, but the approaches to their solution different. When our relatives return from the war zone, we often think that they will remain as they were. However, it is not. 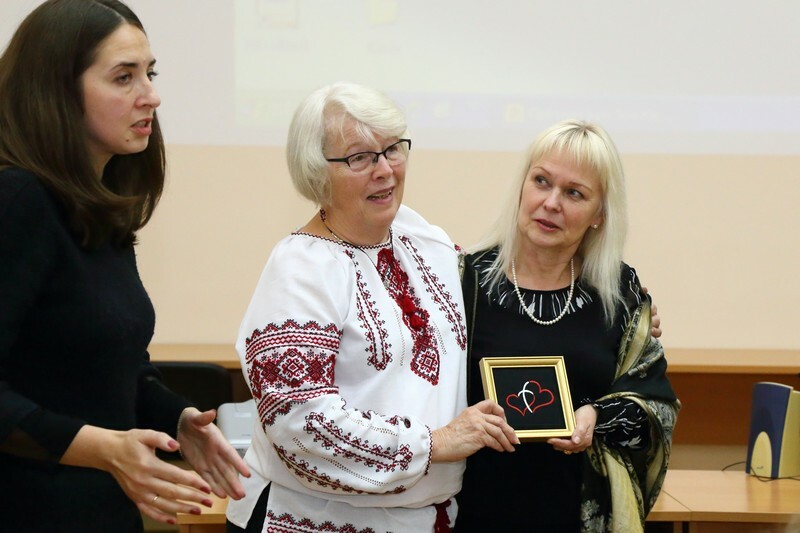 And we must understand this and be ready, “said the deputy president of the Ukrainian public organization” Olive branch Ukraine” on work with women Jeanne Szeged. Women told their stories how they helped their husbands overcome moral trauma, how to meet a military from the war zone, what role the family plays in overcoming post-traumatic stress disorder. 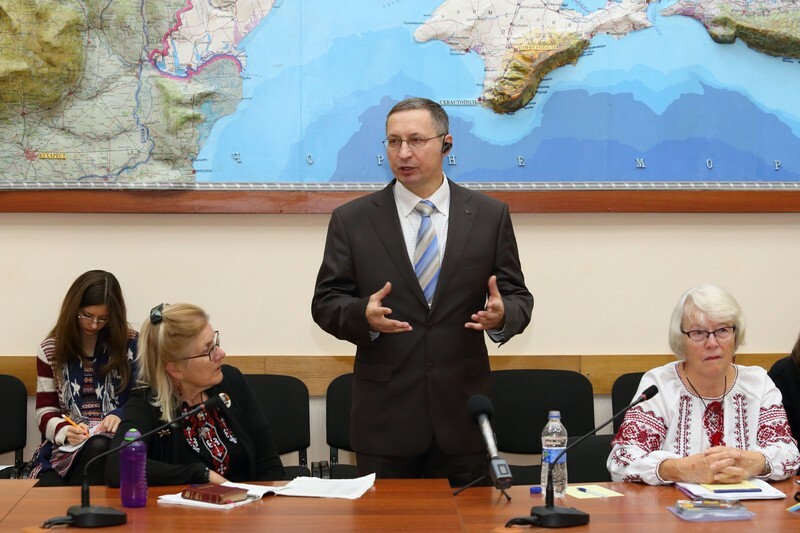 “We have not yet completed the process, because the armed conflict continues. And we do not represent the scope of the task that confronts society. 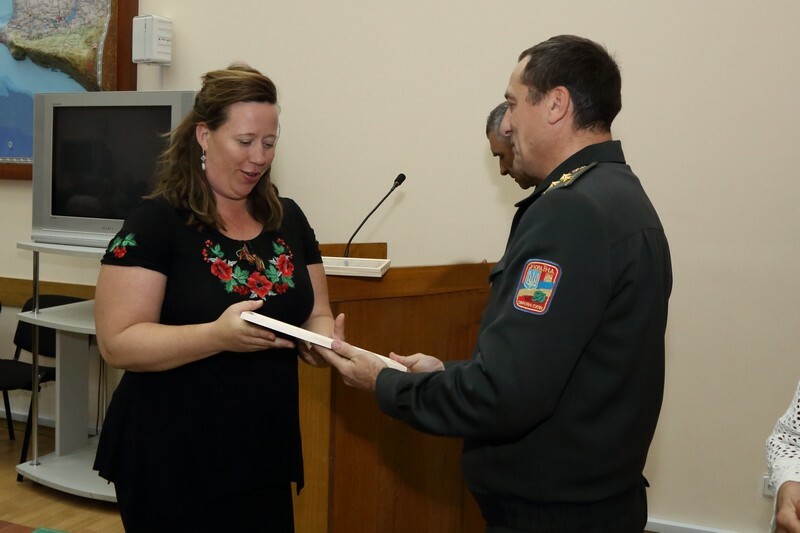 Our guests from America have passed this stage, so the experience they convey is useful, – said the president of the Ukrainian public organization “Olive Branch Ukraine” Colonel in reserve Valentin Korenevich. Women’s organizations and associations are a powerful force that centers around important issues of our time, helps solve problems, supports those who need it. Caroline Grube has been working with women for more than 40 years. The also suffered losses. Her husband, a colonel in the retirement of the US Army, died of a disease caused by chemical damage during the Vietnam War. 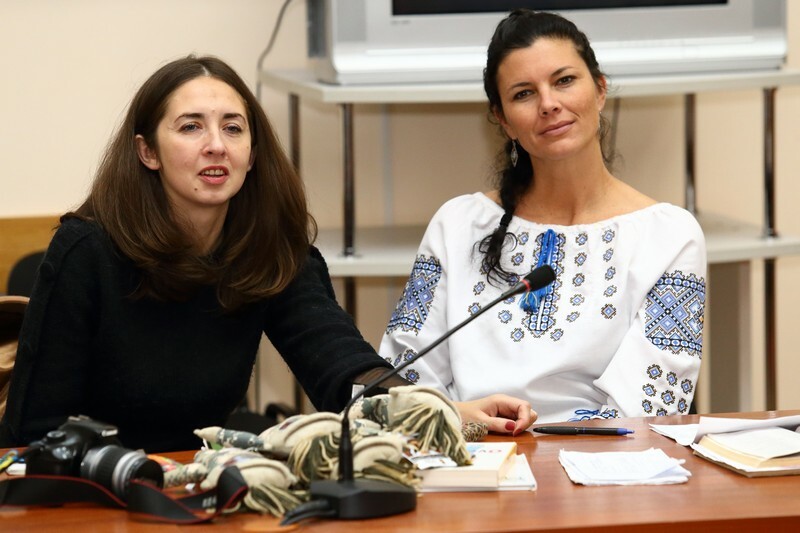 – My husband and I fell in love with Ukraine. I’m glad to be here. I have a son. He’s a major. For me, everything that is connected with the military, especially their families, is important and close. When we meet relatives from the war, we must give them something for which it is worth to living, for what to cling, what to believe in, “said Caroline. Linda Sheimo is a soldier herself – a colonel in the US Army in reserve. She served in the Pentagon. For the participants of the conference she prepared 60 sets of first aid – her own books made of cloth, inside of which funds for physical and mental pain are needed. Priscilla Meadows Arthur, wife of the chaplain, also shared her experience of living in a military family, overcoming PTSD. Her family members participated in the First and Second World Wars, in Vietnam, Afghanistan, and Iraq. The woman came with her daughter. – Warriors are not only physically wounded, but also spiritual. There is an enemy on the battlefield who destroys the souls. When the family gathers on returning from the war, everything changes. We need to understand this, forgive each other and be grateful,” remarked the wife of the retired captain, the chaplain of the US Army Priscilla. To ensure that children, whose parents have been performing tasks in conflict zones for a long time, did not forget them, Priscilla created military toys. These are dolls, camouflage colors. On their faces a photo of the native person is glued. So, a child can not only remember, but feel that her father or mother is nearby. 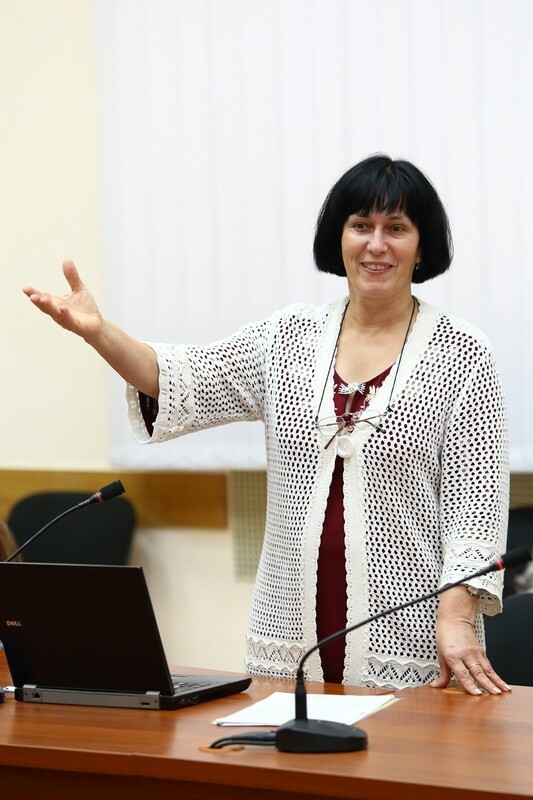 The event was attended by a practicing psychologist Galina Starchenko, who works on the International Trust Line. Galina told that it is not necessary to arrange lavish banquets for a military meeting. This is for those who fought, is an additional stress. – It is necessary to create conditions for a person to feel safe. On the battlefield, he trusted his comrades. You may not be trusted for a while. Try not to make sudden movements and avoid loud sounds. Do not ask about what was before the war, but ask about emotions. Be sure to create joint plans for the future. 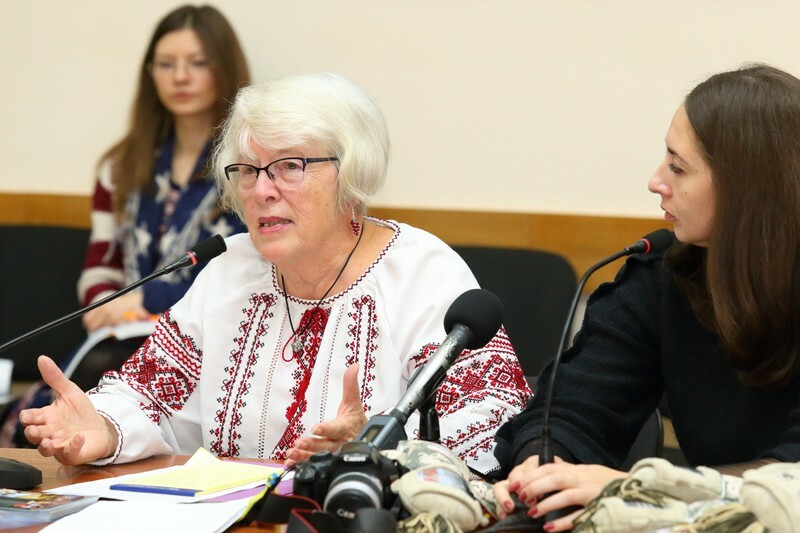 Assistance to hospitals, the creation of volunteer groups, prayer for peace, comprehensive support for the wounded, assistance to widows, mothers who lost their relatives, as well as those whose relatives are in ATU – are priority areas of work “Olive branch” in Ukraine. Participants of the seminar received literature on topical issues, as well as letters of appreciation.